MELBOURNE: Australia named five uncapped players in a raw tour squad to play Pakistan in a Test series in the United Arab Emirates, while recalling pace veteran Peter Siddle for the first time in two years and dropping middle order batsman Peter Handscomb. With injuries having gutted the pace stocks and suspensions ruling out former captain Steve Smith, David Warner and Cameron Bancroft, selectors have filled the holes with a mix of unproven talents and well-travelled journeymen. One-day international specialist Aaron Finch, 31, will have his chance for a Test debut in the October matches in Dubai and Abu Dhabi, along with Queensland’s South African-born duo Michael Neser, a pace bowling all-rounder, and batsman Marnus Labuschagne. Another Queensland cricketer in rookie fast bowler Brendan Doggett joins the Mitchell Starc-led pace battery which will lack injured regulars Josh Hazlewood and Pat Cummins. 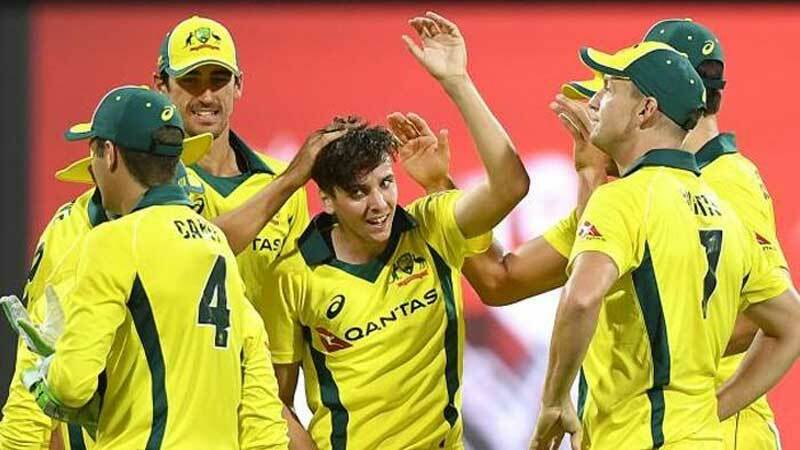 Despite only eight first class matches to his name, 24-year-old Doggett beat uncapped Western Australia quick Jhye Richardson for his place and could become the third indigenous player to represent Australia in Tests following Faith Thomas and Jason Gillespie. “Brendan is an exciting prospect, a fast bowler with raw pace and wicket-taking ability,” selector Trevor Hohns said. “He provides an additional option to Mitchell Starc if extra pace is called for.” Warhorse Siddle is back after nearly two years in the freezer – his last Test being a home fixture in Perth against South Africa in November, 2016. Siddle earned his recall after a strong season with English county side Essex. “You always need a little bit of luck on the way no matter how old you are,” the beaming 33-year-old told reporters in Melbourne. Young South Australia captain Travis Head was the fifth uncapped player in the 15-man squad and will have a chance to slot into Handscomb’s spot in the middle order, with all-rounder Glenn Maxwell missing out. Batsman Joe Burns was dropped from the side that was thrashed by 492 runs in the fourth and final Test against South Africa in Johannesburg in March, but fellow opener Matt Renshaw was retained. Two-Test spinner Jon Holland joined fellow left-armer Ashton Agar in a slow bowling brigade led by Nathan Lyon. Plenty of queries will follow Tim Paine’s Australia to the Emirates as they attempt to rebuild after the Cape Town ball-tampering scandal which led to long bans for the nation’s two top batsmen in Smith and former vice captain Warner. The team has yet to name a replacement vice captain for Warner but will settle on one before the tour starts with a four-day warmup against a Pakistan A team starting Sept. 29. “We firmly believe the squad selected is up to the challenge ahead, and is capable of playing a brand of cricket that can perform well in this series against Pakistan,” said Hohns.